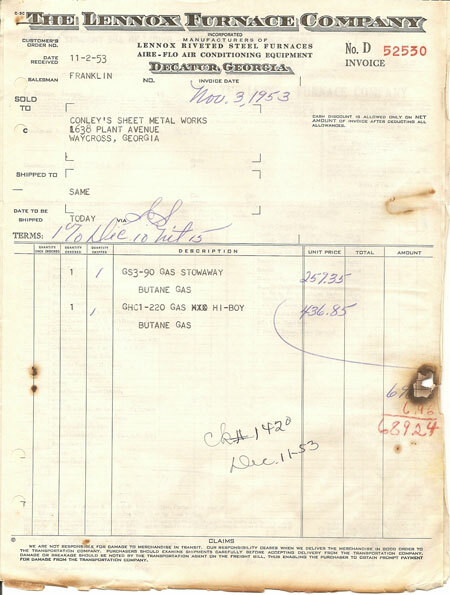 Conley Sheet Metal started in 1948 as a family-owned sheet metal shop that also installed gas furnaces. A lot has changed in the 70 years that we’ve been in business, but one thing that has not changed is our loyalty to our customers. We are available 24/7. 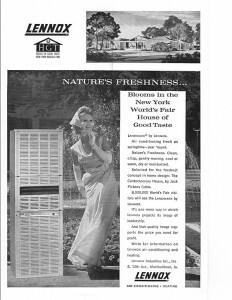 Each of our heating and cooling techs is NATE trained and most of them have been with us over 10 years. 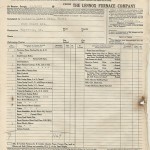 Conley Sheet Metal Works, Inc. was started by Charles & Louise Conley. 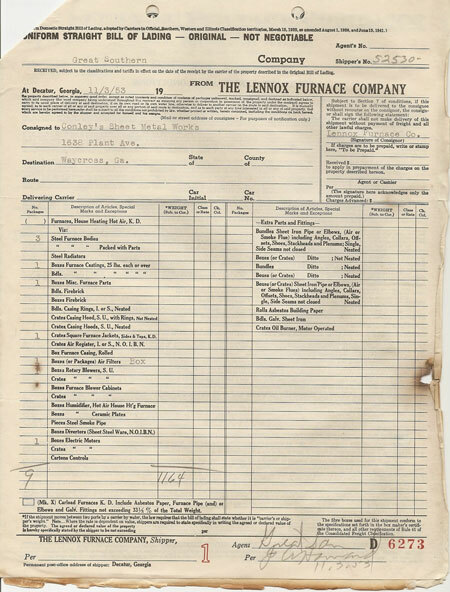 The company started out as a sheet metal shop that also installed furnaces, which would later become the company’s focus. 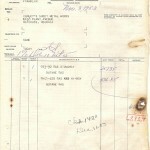 Here are examples of actual invoices and bills of lading from the early days of the company. 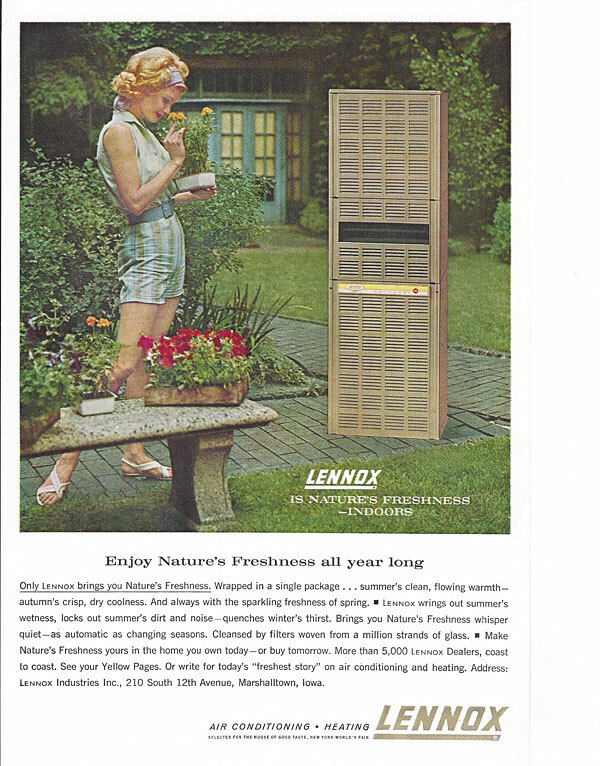 We have a couple of Lennox ads from the 1964 New York World’s Fair. 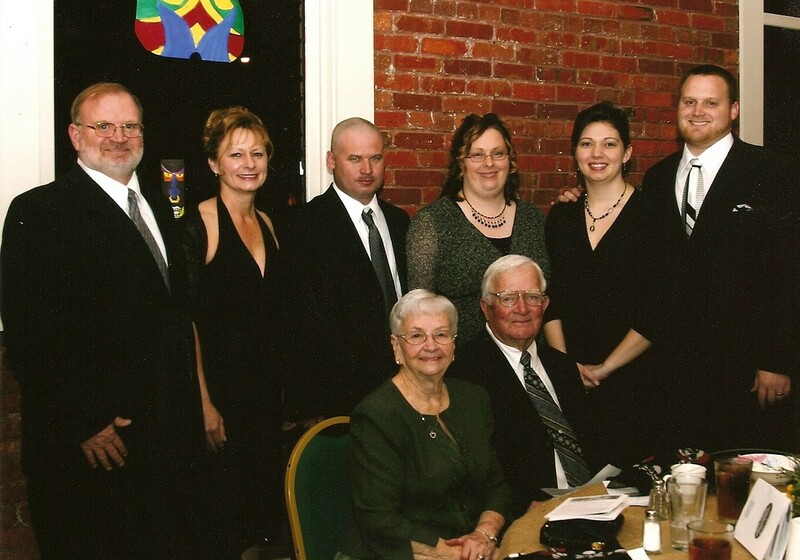 Charles & Louise Conley’s son Randy assumes ownership of the company after his parents’ retirement. 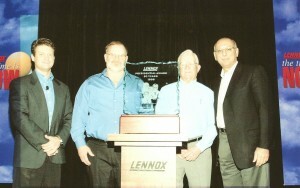 Randy & Charles Conley receive the 2003 Lennox Presidential Award for being a 50 year dealer. 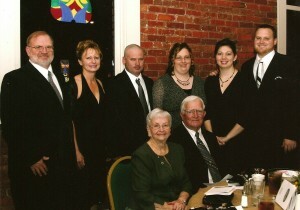 Photo from the Waycross Ware County Chamber of Commerce Annual Gala. 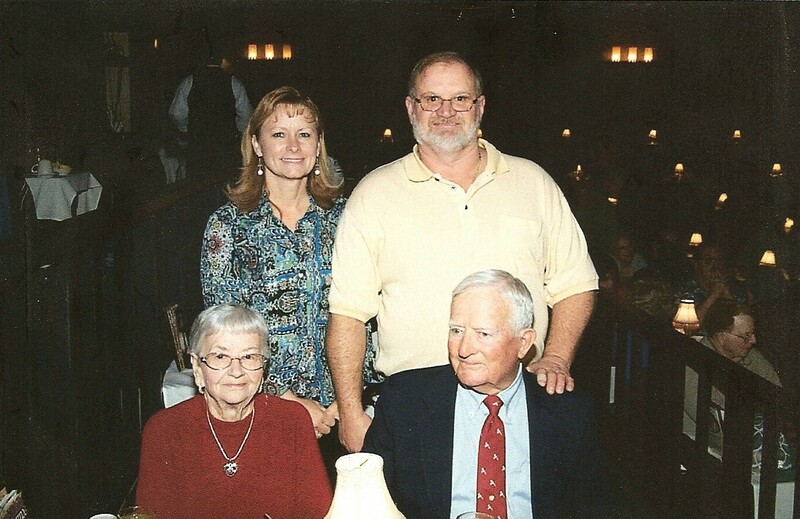 Randy & Cindy Conley, Timmy & Donna (Conley) Cox, J.W. & Jenni Conley, Charles & Louise Conley seated. 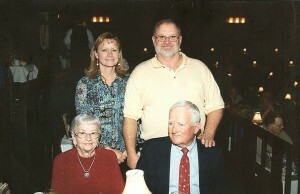 Randy & Cindy Conley with Charles & Louise Conley at the Alhambra Dinner Theatre in Jacksonville, FL.